Heads up folks! 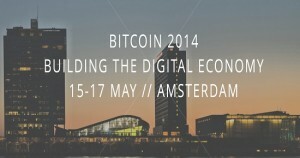 Bitcoin 2014: Building the Digital Economy conference is being held in Amsterdam from May 15 to 17. Bitcoin 2014 is an “annual international forum, exhibition and networking conference organized by the Bitcoin Foundation for the fintech industry.” It will be a meeting place for investors, technologists, regulators, executives, entrepreneurs, developers, and policymakers to gather and discuss the future of digital currency around the world. The first bitcoin 2013 conference was held in Silicon Valley in San Jose California. The conference had a spectacular turnout of over 1,200 attendees, speakers, and exhibitors. 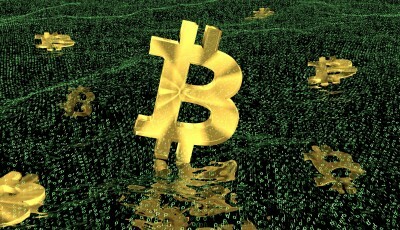 It featured bitcoin investors Cameron and Tyler Winklevoss as keynote speakers. One of the topmost fintech hubs in Europe, Amsterdam serves as a great place for this year’s momentous event to take place. The official schedule of the planned events has been posted on the conference’s website. The conference will be held at Passenger Terminal Amsterdam in the Netherlands. Talks and discussions at the conference will revolve around building the digital economy, bitcoin opportunities, and international implications. The conference is set to begin with a welcome reception starting on May 15th at 6pm local time. The CEO of Circle, Jeremy Allaire, CEO of BTC China, Bobby Lee, and Bitcoin Foundation Chief Scientist and former lead developer Gavin Andresen will be some of the main speakers at the Bitcoin 2014 conference. CEO of Overstock, Patrick Byrne will be the keynote speaker for the conference. Divided into four separate categories consisting of: The Digital Economy, Bitcoin Technology: Present and Future, Rules of the Game: The Legal Landscape, and Enterprising in the Digital Age: Merchant and Consumer Services, the conference is set to take off. The first day of the conference will see Andresen present his Annual State of Bitcoin Address. CEO of Blockchain.info, Nicolas Cary, Kipochi founder Pelle Braendgaard, Elliptic co-founder Tom Robinson, and Xapo CEO Wences Casares will also be speaking on the first day of the conference. On the second day of Bitcoin 2014, Bobby Lee will host a session on bitcoin in Asia. A panel on bitcoin’s forthcoming technical challenges featuring Buttonwood SF founder John Light, Circle CTO Sean Neville and BitPay CTO Stephen Pair are scheduled to present on the second day. The last day of the conference will conclude with an annual meeting for the Bitcoin Foundations members. Holding a conference in Europe is a great way for the Foundation to spread its wing which happens to be one of its goals. 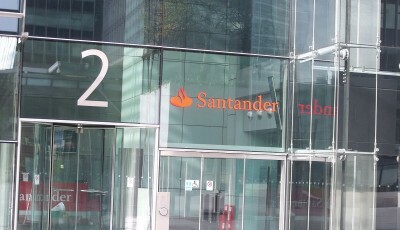 The Foundation accepted two international partners when both Bitcoin Foundation Canada and the Bitcoin Association of Australia were added as chapters through its International Affiliate Program late last year. Exciting lineup of events await the attendees of the conference. It is sure to be an exciting few days ahead for the investors of the conference and for the participants.